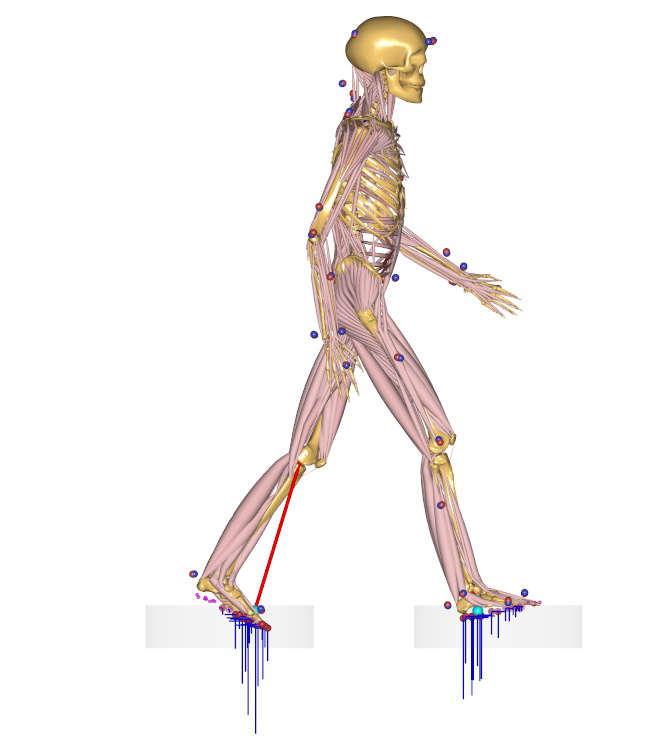 Example of full body MoCap model using the Plug-in-Gait marker protocol but without force plates. The external forces are instead predicted using the GRF algorithms. More information is availble in the documenation for the GRF prediction.